Make pinwheels pop by using a navy blue print and a crisp, solid white for the large triangle-squares. Fabrics in the four-block wall quilt are from the Going Coastal collection by Emily Herrick for Michael Miller Fabrics. 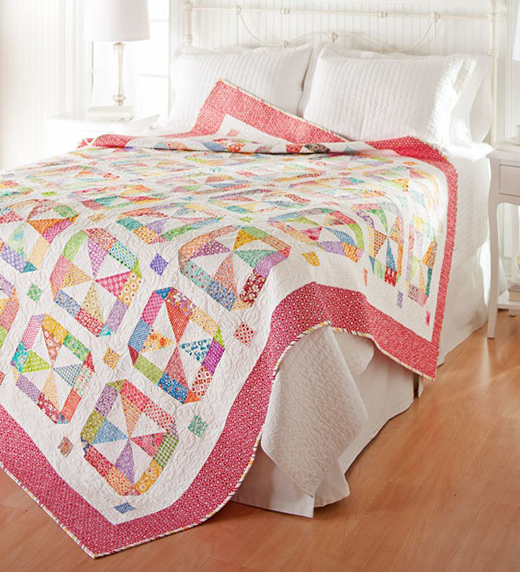 This Nautical Pinwheels Quilt Inspired by Merry-Go-Round from designer Kimberly Walus.